It is difficult to believe that it is already ten years since the Boxing Day tsunami destroyed thousands of lives across coastal south and south east Asia. Indonesia bore the brunt of the waves but many lives were also lost in Sri Lanka and south India. 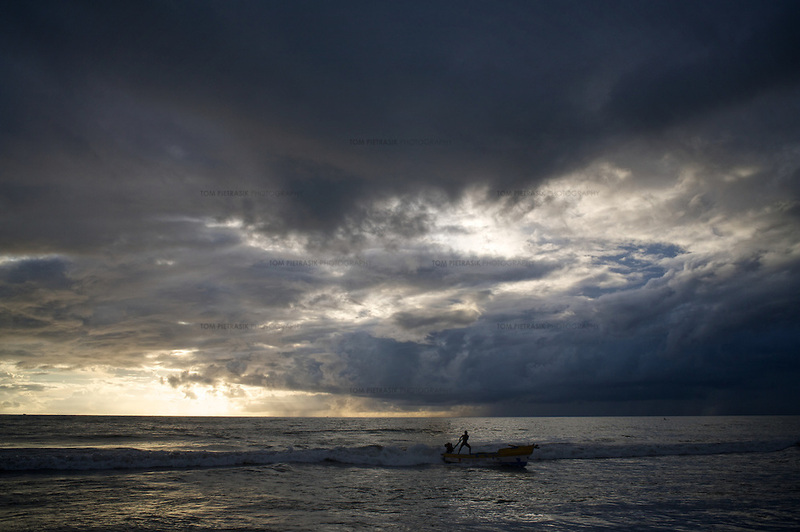 I was living in New Delhi at the time and arrived on the Sri Lankan coast 24 hours after the first waves hit the shore. It was difficult for anyone to comprehend the scale of the disaster and it took many months and years for those affected to recover. While the destructive force of the tsunami itself generated significant international interest, it was the slower process of rehabilitation that provided insight into just how individuals and institutions cope with and respond to calamity and grief. Working initially with The Times Magazine in London and later with UNICEF, I followed the lives of children from south India who lost parents in the tsunami. My photographs, taken over a period of four years focussed on the lives of two families of children from Tamil Nadu state who lost at least one of their parents to the tsunami. 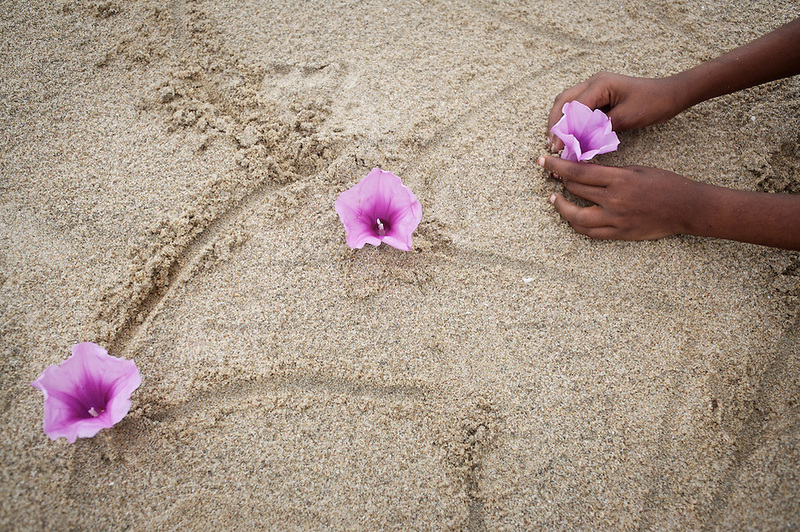 At the top of this page, sisters Bhanpriya and Sivaranjini Krishnamurthy who lost their mother to the tsunami, play on the beach at Pudupettai. Tamil Nadu in 2006. Each child had to adapt to changed circumstances and cope with emotions no one in their family could have possibly anticipated. The younger children seemed to adjust more quickly than their older siblings. And, while grief rendered some silent, in others it provoked a real sense of anger. Some children became withdrawn while others craved attention and resorted to disruptive behaviour. For all of the children, the experience of losing a parent seemed to strengthen the bond they shared with their brothers and sisters. The loss of a parent meant that some children I photographed inherited responsibilities that provided distraction from their own painful emotions. 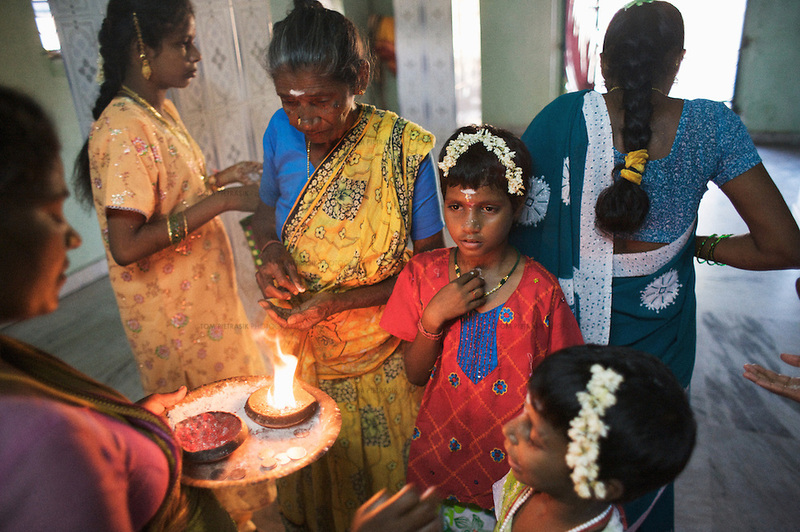 Sivaranjini Krishnamurthy lost her mother to the tsunami. She and her four younger sisters were then placed in an orphanage by their father. 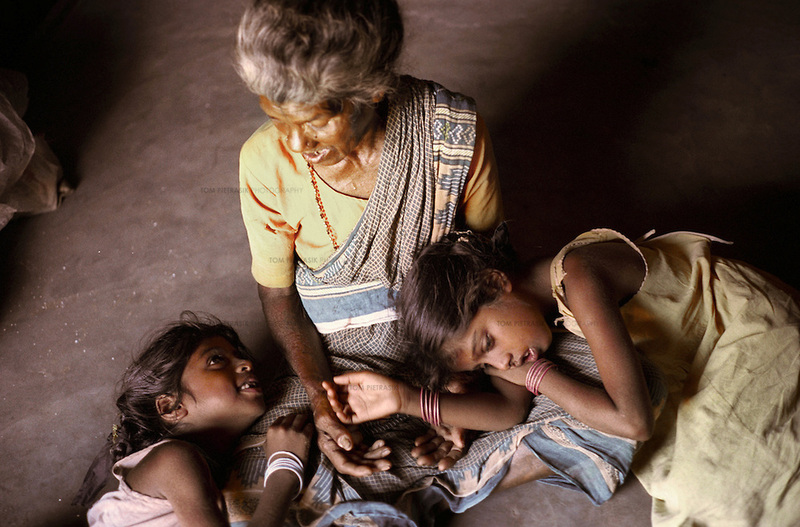 At twelve years old, Sivaranjini took on the role of a mother to her younger sisters. Though she continued to attend school and received the support of orphanage staff, she sacrificed much of her own childhood to take care of her siblings. 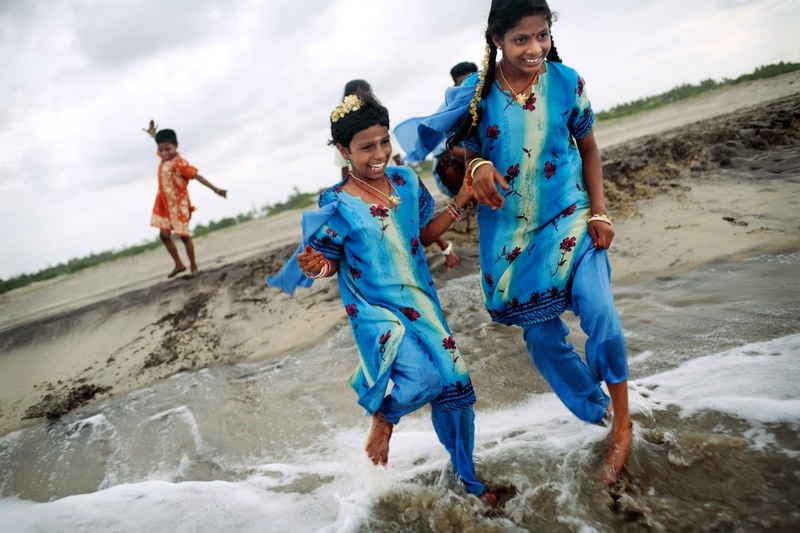 For Sivaranjini and the other children whose experiences I photographed, the tsunami of 2004 was a defining event in their lives and the terrible personal upheaval they suffered shaped all of their futures. I will be thinking of them today.